Centered in the heart of Virginia agriculture, Charlottesville’s unique farm-to-table foodie culture thrives from independent family farms. Many of these local farms benefit from Farm Aid and the work of The Local Food Hub. 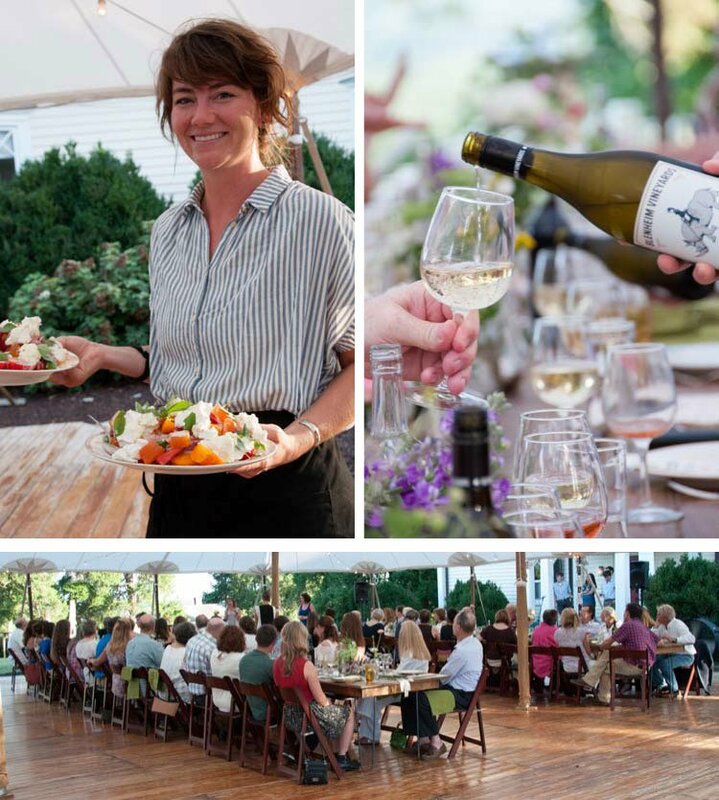 Six days before the Farm Aid annual benefit concert returned to Virginia and in an effort to raise awareness and funds for such important platforms, Farm Aid board member Dave Matthews and his Blenheim Vineyards hosted a locally sourced Farm to Feast Dinner. Dave Matthews along with Willie Nelson and Neil Young, fellow Farm Aid board members, would go on to perform in the benefit concert at Jiffy Lube Live on September 17. Charlottesville band Small Town Rodeo provided live music for the evening with their bluegrass and country tunes. 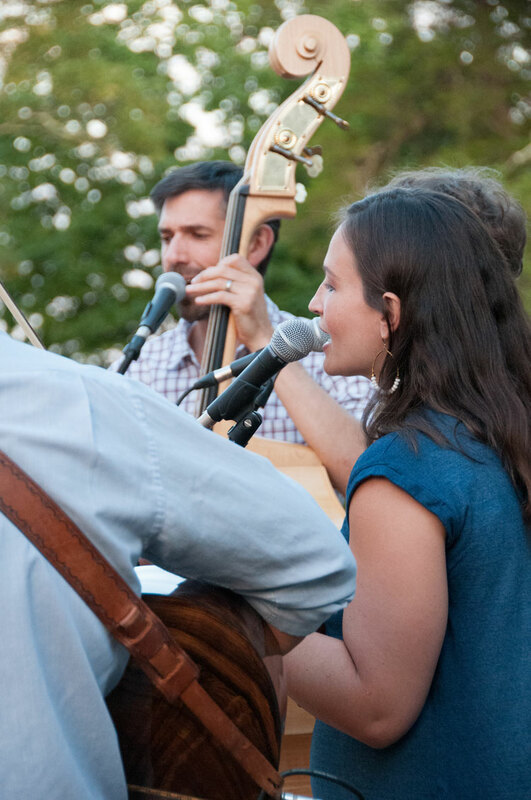 This foursome, outfitted with a guitar, bass, mandolin and fiddle, captured the sound of the Blue Ridge countryside while guests sipped Blenheim Vineyard wines and mingled near the teepee cocktail lounge. Clay Trainum of Autumn Olive Farms smoked pork during the cocktail hour while highly acclaimed chefs Lee Gregory of The Roosevelt and Southbound, and Joe Sparatta of Heritage and Southbound in Richmond prepared the dinner. All courses were paired to perfection with Blenheim Vineyards’ 2014 Painted White, 2015 Rosé and 2014 Cabernet Franc. 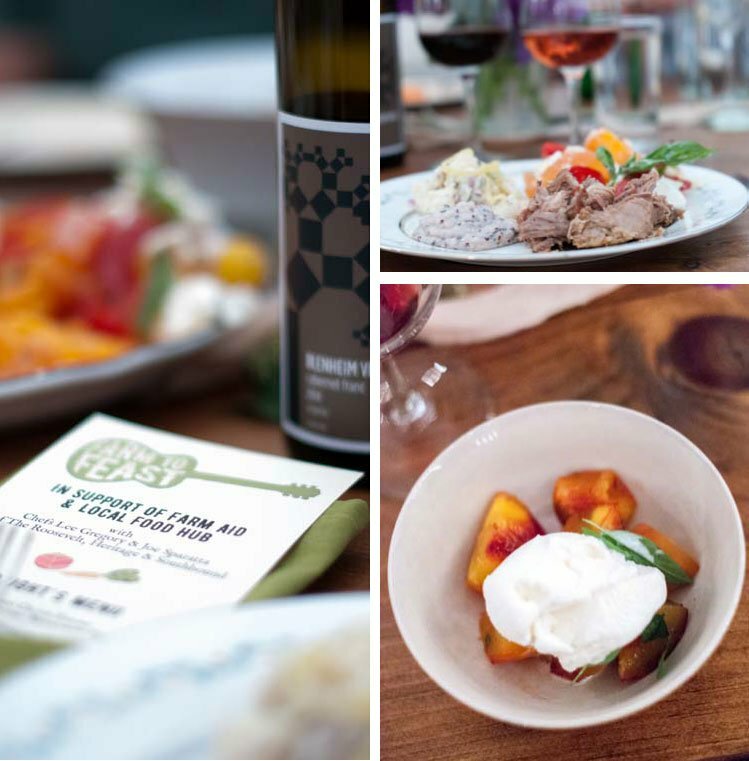 The delicious communal feast was sourced from within a 30-mile radius of Charlottesville, including food from farms that benefit from The Local Food Hub and Farm Aid. 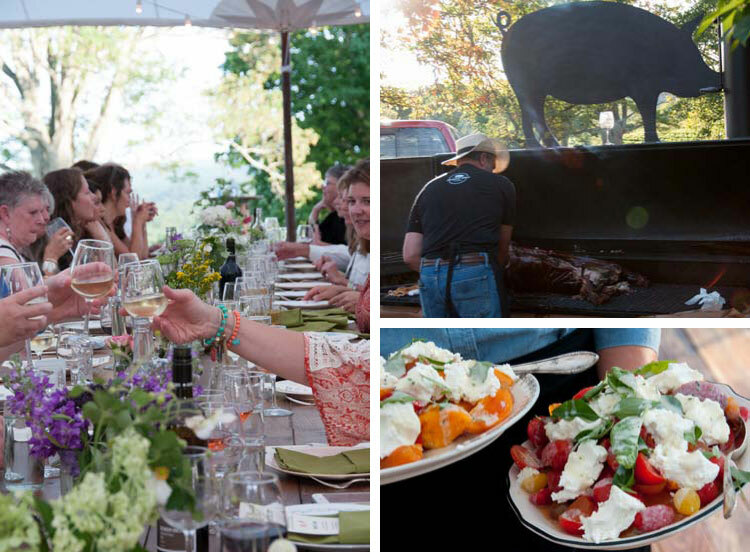 Showcasing the fresh and exquisite produce in the area, the Farm to Feast Dinner truly demonstrated the quality and benefits of the local food scene. If you would like to help the family-based farms, you can support Farm Aid anytime on their website, or you can also donate to or volunteer with the The Local Food Hub.